Everyone should learn a second language fluidly. It’s something you’ve probably heard as a kid during some point in education. Evidence suggests that it gets significantly more difficult to learn and retain a new language as you age. You know this all to well if you have tried picking up a different language when you’re older. Parents have been grappling with if and when it makes sense to start teaching their children a new language. A Harvard study suggested that children gain the natural ability to learn during the first 3 years of their life. Meaning that the earlier you start introducing new languages, the more likely a child will naturally pick up and retain the subject. According to further research, 50% of our ability to learn is developed in the first 4 years of like, but that doesn’t mean that we don’t continue to learn quickly later in life. A new study suggests that we can continue to learn at a quick rate of 17 or 18. 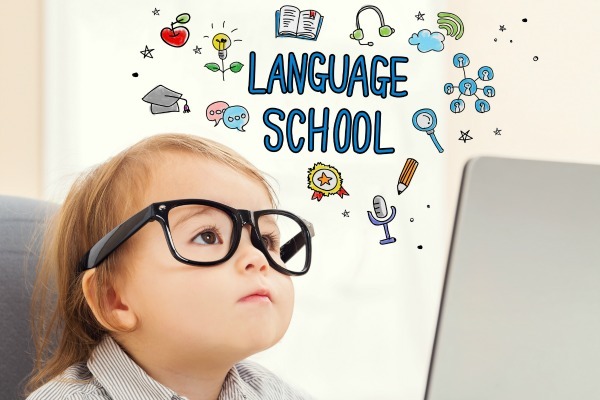 That being said, while children can learn quickly past the age of 10, it is unlikely that they would become fluent in a language if they begin learning later in life. Parenting is hard enough, so if you’re fretting about whether or not you need to enroll your child in the next “Toddler French Master Class”, just take a breath. Contrary to popular belief, you have more time to teach your child a second language than you think. Although, it definitely can’t hurt to start sooner rather than later. Those young tender years can set a child up to be fluently bilingual. But, if your child is older than 3 or 4, you still have plenty of time. You can wait for your child to show an interest in a specific language, you can throw on a few educational TV shows, or even partake in a few flashcard sessions, but you don’t have to worry if you kid isn’t bilingual before they are potty trained.